SOUTHFIELD, Michigan (Bloomberg) -- Mercedes-Benz managed to grow its lead over rival brand BMW in the U.S. luxury-vehicle sales race for the year, as deliveries in May jumped 19 percent to 22,515. Sales of BMW cars increased 7.3 percent to 22,168, while Toyota's Lexus brand, rebounding from inventory shortages after last year's earthquake and tsunami in Japan, soared 74 percent to 21,463 to keep the No. 3 position. Last year, BMW and Mercedes both overtook Lexus, the top seller for 11 years, with BMW emerging as the top U.S. auto luxury brand. Mercedes sales for this year through May increased 18 percent to 106,364, giving the automaker a lead of 1,585 vehicles over BMW, which had a sales increase of 14 percent for the period. Lexus deliveries rose 14 percent to 88,110 in the first five months. 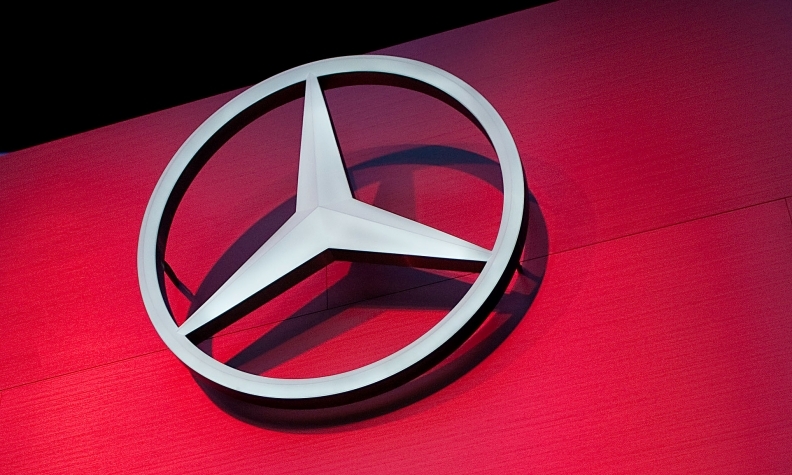 In the first four months, Mercedes' lead over BMW was 1,238 vehicles. Incentives from both Lexus and Mercedes have increased 37 percent and 23 percent respectively compared to BMW's 0.8 percent gain, according to U.S. - based researcher TrueCar.com. "In a lot of the key markets, leasing can make up three-quarters of sales," Jesse Toprak, a TrueCar analyst, said in an interview on Friday. Mercedes sales were helped by deliveries of the updated C-class sedan, up 35 percent in May, and M-class sport-utility vehicle, up 66 percent, the automaker said. The BMW and Mercedes sales race extends beyond the U.S. borders. The two are locked in a global battle along with the Audi luxury brand. Sales of Audi rose 10 percent in the United States last month to 11,503, the 17th consecutive month of record sales, the automaker said in a statement. After five months, Audi's U.S. sales this year rose 14 percent to 52,494, ahead of General Motors Co.'s Cadillac brand at 50,688. Cadillac declined 15 percent to 9,871 in May as the luxury brand suffered from the elimination of old models before new ones, such as the XTS, reach dealers starting this month. Cadillac sales have fallen 22 percent through May, the company said in a statement Friday. Japanese carmaker Honda said in a statement that sales for its Acura brand rose 62 percent to 14,586 last month. Acura year-earlier sales were affected by production disruptions stemming from the March 2011 earthquake and tsunami. Porsche sold 2,852 vehicles, a 1.2 percent gain, the company said in a statement, while Nissan's Infiniti sold 10,592 vehicles, a 66 percent gain from a year earlier, the company said. Sales of Tata Motors' British brand Land Rover rose 19 percent to 3,438, while its Jaguar-brand sales declined 15 percent to 1,075, according to an e-mailed statement.